This gorgeous Australian gold nugget has a very smooth finish. It is also very long at 3/4" (20 mm). The color is gorgeous and the shape is unique and super nice. 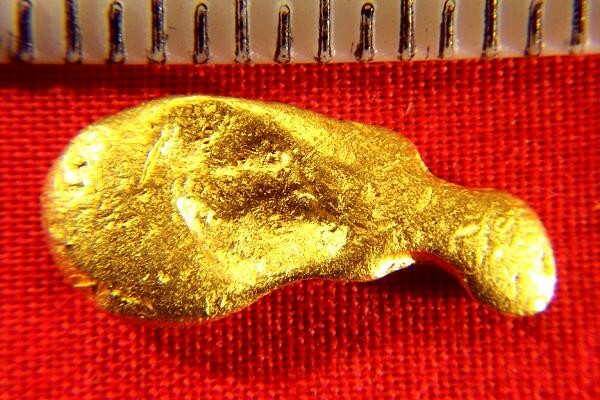 The weight is 3.8 Grams (58.6 Grains) This beautiful gold specimen has beautiful color and shape. 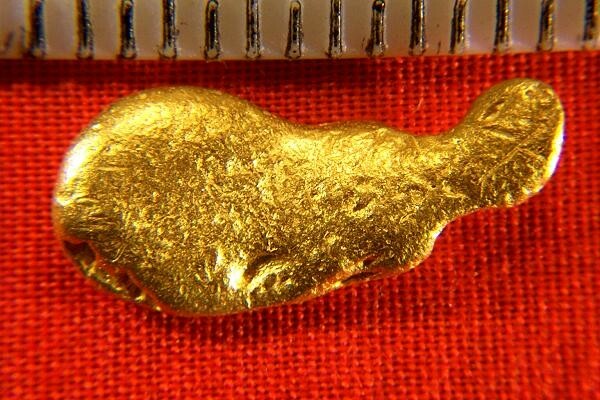 94% to 98% is the estimated purity of a hand selected jewelry/investment grade gold nugget like this from Australia.